When it is awesome outside, no one wants to be cooped up indoors, especially at work! Read on to learn about some awesome outdoor activities in San Francisco that can do a lot to help team bonding. Regardless of age, scavenger hunts are fun everyone. They promote healthy competition and teamwork necessary to bond with others. 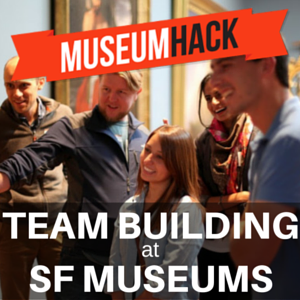 Create an outdoor treasure hunt anywhere around the San Francisco area, with clues that will help the team brainstorm and work together. Raise the competition factor by offering an incentive for each member of the winning team. Incentives could be a day off or gift certificate to a local eatery in the Bay area. It should, however, be something you know everyone would be interested in, in order to boost the competitiveness and teamwork. Are you aware that yoga helps people destress and relax, in addition to providing a lot of other fitness and health benefits? Yoga helps us focus through holding poses and breathing. It is also a form of meditation which keeps the mind off outside elements and brings us back into the moment. Yoga can do amazing things for employees’ stress levels. They’ll check all their worry at the door and relax for an entire session. Apart from being beneficial for the mind, yoga is also good for flexibility, strength, and posture. By having a monthly or weekly outdoor yoga sessions, your employees will be able to hit the pause button on their individual lives and work toward improving themselves as a group. You can get silly and get some exercise by hula hooping in San Francisco. Not only is this exercise great for creating an upbeat environment, it is also an awesome exercise for encouraging team building. If your team is often in high-stress situations, offering short hula hoop sessions for everyone once a month is a great choice. Your team will leave the exercise feeling recharged and ready to get back to work.